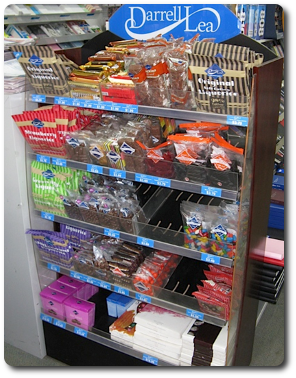 There is something for everyone to select from our range of Darrell Lea chocolates and confectionery. Darrell Lea meets your chocolate needs what ever the Season or Occasion. As your local Darrell Lea stockist we have a selection of Darrell Leas most popular lines. Call in and explore our delicious range of treats, whether treating yourself or looking for a special gift, you are sure to find something just right. You will find all your favourite Darrell Lea products including Soft Eating Liquorice, Rocklea Road and a whole lot more. . .